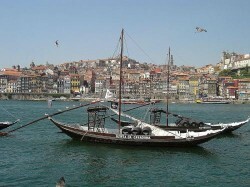 It is often said of Porto, Portugal that the city is something of a living, breathing museum in its own right, and there is no area to which this applies more than that of the Cais da Ribeira. 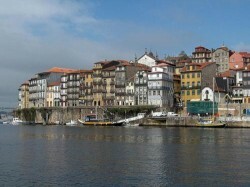 Ribeira literally means riverfront, and the name Cais da Ribeira refers to the district’s position right on the banks of the Douro River. 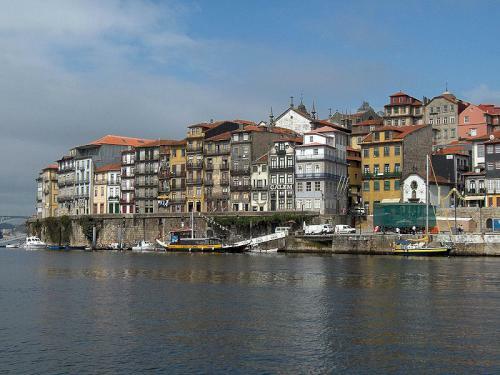 This attractive district is set right in the heart of the area of Porto which forms the designated UNESCO World Heritage Site, and there is nowhere in the world that earns itself such credentials without good reason. 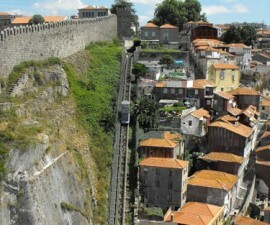 The Ribeira district is formed from a network of narrow streets and alleyways and crumbling ancient buildings, which weave and cross their way along the riverbank to culminate at the impressive Praca da Ribeira, or Ribeira Square. Visitors to Portugal flock to this area of Porto throughout the year to wander through the meandering streets and marvel at the pastel-hued buildings in various states of renovation and disrepair and explore. 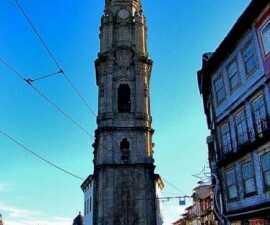 Nowadays, this is an area that is finding itself a new lease of life, as the centrepiece of Porto’s nightlife scene, but it was once a bustling commercial and manufacturing district. Indeed the area has been inhabited since the Middle Ages and the main square was once home to many shops and stalls selling foods such as fish, bread and meat, as well as other wares. Many of the buildings around the main square were decimated by a fire in 1491, resulting in something of an upgrade to the area when it was subsequently rebuilt. 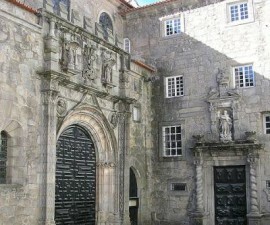 Further developments in the area are credited to the former governor of Porto, Joao de Almada e Melo in the late 18th century. One of the focal points of the square, and indeed the area as a whole, is the monumental fountain which sits on the northern side of the square. Reaching three storeys high and featuring Portugal’s coat of arms, the fountain was built in the 1780s and is offset interestingly by a modern cubic sculpture by artist Jose Rodrigues, which was installed over the remains of a damaged fountain dating back some 300 years. The Cais de Ribeira comes into its own at night, when the sun sets over the waters of the Douro and the lively cafes, bars, and nightspots open their doors once more to eager party goers, keen to make the most of what Porto nightlife has to offer. While it is lively, the Cais da Ribeira district is certainly not over the top, and is well worth exploring during your time in Portugal. This is a great place to enjoy a drink or bite to eat under the stars, or indeed for lunch on a sunny day. There are many excellent restaurants offering a range of traditional dishes from all over Portugal, as well as some modern European and international offerings to match. Don’t forget to take your camera as the pretty quayside, with its traditional boats and colourful buildings, one of the most photogenic spots in Porto.